Completely customizable with variety of lengths, thicknesses and curl. This is the most natural look & feel light & natural. One extension attached to one natural lash. 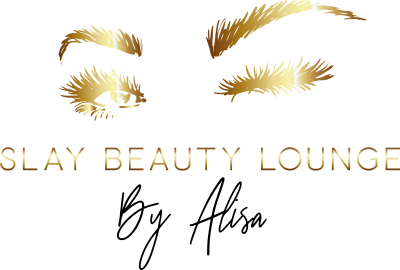 You will have a full consultation with your artist who can help you decide the best fit for your eye shape & lifestyle from: natural, doll eye, cat eye, or a dramatic look. Only up to 4 weeks from last appointment. However many extensions you come in with determines your fullness. Anything 4+ weeks will be considered a full set. **Please Note** Additional $15 fee will be charged for outside fills, which are sets that were done at other salons. Only up to 10 days from last appointment. However many extensions you come in with determines your fullness. **Please Note** Additional $15 fee will be charged for outside touchups, which are sets that were done at other salons. For first timers who want to start off super natural and/or aren’t ready to make full time commitment to maintaining the lashes. Completely customizable with variety of lengths, thicknesses and curl. **Please Note** You have the option to turn it into a full set within 48 hours by paying the difference. Individual Silk Lash Extensions applied individually to your lower lashes. Usually for events or special occasion, which can last ~2+ weeks​​. **Please Note** Determined by the amount of your natural lower lashes. This procedure beautifully lifts the natural lashes to give a bright open eye look and usually lasts 4-5 weeks. Only requires natural lashes (no extensions). Application of falsies sized to the shape of your eye. Must provide own strip lashes. Please don't hesitate to ask if you would like recommendations on what would best suit your eyeshape or need help deciding what style would go best with your eye shape. Heal & ease your everyday stress & strain with a luxurious deep moisturizing treatment that not only relieves dryness, promotes circulation but will also help nourish your skin to make your hands feel silky smooth. which will give us additional time to make sure we are able to blend in the extensions to the set that you come in with. Please let us know withing 72 HOURS from your last appointment, if you have any questions/concerns regarding your lashes!